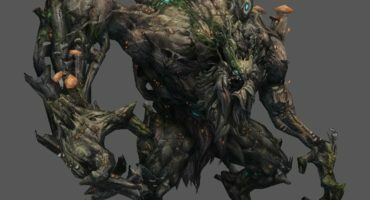 Sketchfab Community Blog - IT'S TUESDAY GAMING ! Let's meet the team behind Tactical Heroes. IT'S TUESDAY GAMING ! Let's meet the team behind Tactical Heroes. This week we had the occasion to chat with eRepublik Labs studio who just launched Tactical Heroes for iOS. It’s a squad level turn based tactical game. You get to control each and every one of your Heroes turn by turn against the evil aliens in single player or against opposing human factions in PVP. Guys we’re really happy to see your work on Sketchfab, it looks great. Personally my favorite character is this Alien Engineer. I can’t wait to try it for real. – At Sketchfab we love behind-the-scenes interviews : Could you tell us what does a normal day at eRepublik Labs look like ? Well, we have a lot of fun at the office. We’re a small team and we all work together in the same open space so everyone sits together and works together. Obviously we’re all game fans and tech nerds so there’s some joking around and sharing cool stuff while we get our work done too. Our typical day starts with stand up meetings where we each have a quick update on what we are doing, what we need help with and what we were doing up till then. This way the whole team gets to see where problems might be about to pop up and can suggest ways around them. After that we mostly get on with things, we strongly believe in the power of face-to-face contact so all of our walls are whiteboards, team-members can walk up to any desk and have a quick meeting to solve problems that might arise. – How the idea of Tactical Heroes was born ? We were inspired by a game genre that we loved. Some of us remembered playing Laser Squad, Laser Squad Nemesis and XCom as kids, and we thought, wouldn’t it be great to have an iPad version of something like that? Of course the world has changed a lot since those games first appeared and we knew that our game would have to be free to play, and ours truly is. We also wanted the game to be multiplayer, we want players to be able to compete with each other. There were a few base-building type games available for mobile already but none of them really offered a true tactical experience, so we figured there was a gap that we could fill. – Could you tell us a little bit more about your workflow ? We are always riding a very fine line between getting things done so that they work at a basic level and doing all the things we’d like to include in a feature. For example, when we work on a feature, we decide what is absolutely necessary to make the feature work and can’t be left out under any circumstances, what we’d like to add as improvements and then all the stuff that we’d add if we had a lot more time to really go to town on the feature. Because we are a small team though we have to juggle spending more time on each feature or having more features so a lot of the things we decide are nice to have but not necessary end up getting shelved until later. – Tech question : What is your game made of ? What softwares your team has been using to build Tactical Heroes ? Our game is made in Unity which is a very common engine for mobile games. It’s a powerful engine that scales well to a lot of different hardware. Obviously our artists use Photoshop and, because our game is in 3D, we model all of the units, buildings, terrain etc in 3D Studio Max. We use ZBrush for high quality artwork. All of our documentation is on a Google Drive, this lets us collaborate and share design documents, spreadsheets and so forth. We track our work and collaborate on user stories with Trello which lets us see very easily what work is being done and helps team members work together effectively. 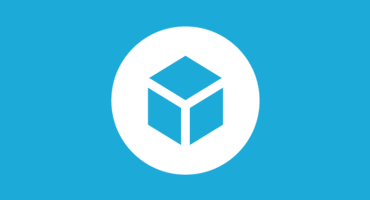 – Has Sketchfab been useful in your work ? What do you think of the new features ? I think that’s awesome, we can’t wait to see what the fantastic Sketchfab community does with these new tools! We’ve always been impressed by the quality of the submissions from the site users. Our artists often use them as inspiration for their own art and find the feedback they get there invaluable for improving their work. – Thank you guys, it was a pleasure to learn more about you.